Games have come a long way. Whether it’s board games or video games, we’re a far cry from the parlor games of the Victorian age or even the 1970s Pong. Or are we? Whether you play Pandemic, Sorry!, or Zelda: Breath of the Wild, many of the rules we use in games haven’t changed much at all. What’s more, those rules extend into the business world, finding uses in our apps today. While you may not realize it, one game, in particular, has impacted our ways of modern gameplay far above the rest: Dungeons & Dragons. Those not into role-playing games (RPGs) often scoff at this form of game. But the statistical set up of Dungeons & Dragons influenced an entire generation of kids who later went on to become game makers and programmers and TV producers. Dungeons & Dragons is the best-known and one of the best-selling role-playing games of all time. In D&D, as it’s often called, players are characters in a fantasy story. The players tell the story together, guiding their characters on adventures and quests during which they discover treasure, battle ogres, rescue people, and more. Dungeons & Dragons was first published in 1974 as three booklets in a cardboard box. The booklets were called: Men & Magic, Monsters & Treasure, and Underworld & Wilderness Adventures. There were only 1,000 games at first, all hand-assembled; they ran out in 11 months. The game’s popularity grew, and eventually expanded into novels, and video games. D&D celebrated its 40th anniversary in 2014 and is still going strong. First, you create a character, customizing it based on its race, class, background, equipment he/she carries, and more. For example, you might decide to be an elf or a half-orc and then choose to be a fighter or a wizard. Your character’s makeup will dictate your potential actions later in the game. The next major element of the game is dice. Your die rolls determine success or failure at the tasks your character attempts and describe the three broad categories of activity in the game: exploration, interaction, and combat. Finally, magic. The rulebook outlines rules for spellcasting, and a selection of typical spells available to magic-using characters (and monsters) in the game. If you’re more of a Sorry! player, you might wonder how this connects. When you play Sorry!, you roll the dice and move the set number on that dice. Rolling dice seems random, but what you’re really doing is playing statistics. Today’s games rely on algorithms instead of a dice roll. In D&D, you roll a die to see how badly you were hurt in a fight. In today’s video games, an algorithm will determine your enemy’s strength and yours, and therefore, how much it will hurt you when you are struck. The roll of the die determined how fast you moved, just as today those are worked out by an algorithm. As you work to make your character better in games, you gain strength and power, and that affects the dice roll and outcome. Even games without fantasy elements or role-playing rely on some measurement to determine the character’s level of health or motives. While D&D’s impact on future RPGs is obvious, it also had a profound influence on first-person shooters. Those who played Doom or Castle Wolfenstein can thank D&D’s creators for the concepts of fighting monsters and playing a first-person character. Even the idea of an “avatar” — used today for online social media as well as games such Second Life — has its roots in D&D’s role play. D&D had a negative reputation for awhile, and many still scoff at the idea of fantasy and role-playing games. But more than 10 million people play World of Warcraft, and fantasy has emerged into the public sphere in more recent times through the Lord of the Rings and Game of Thrones. 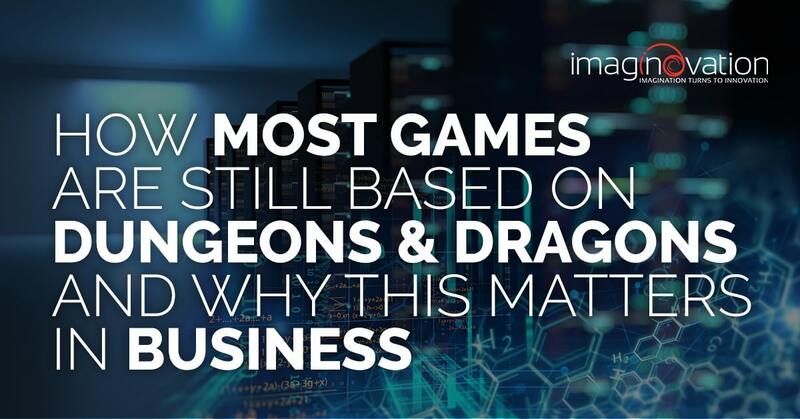 Perhaps more importantly, these same principles have carried over into our non-gaming technology, providing the basis of business applications. During the 1950s to 1970s, many companies purchased mainframe computers or rented time from them. These massive machines took up entire rooms, and people used small computer-like devices called terminals used to access them. Before the personal computer, office workers accessed centralized applications on these terminals. Everything from hospitals to banks used such technology. Sitting at a terminal one has a keyboard and a small monitor. After a successful login, the user was given specific applications to do their job. These applications were mostly form-based, meaning they helped automate data-entry tasks while providing a means to look-up existing records. One visiting a bank during the 1960s would be greeted by a person who would look up their records on a terminal. He/she could then record a transaction. At the end of each month, this software would print out a statement to be mailed to the customer. Despite advances in technology since this time, many companies still use applications primarily based on the old mainframe. Though today, instead of a mainframe, a web server is doing the heavy lifting. Mobile phones, tablets, and personal computers have replaced terminals. However, the applications business use are still based upon entering data into forms and looking up existing data stored in the system. The only real difference is the improvement to the User Interface. First, it is now in color and usually decorated with images and eye-pleasing elements designed to make using the app more appealing. In short, we have just moved the terminal to the web browser. It’s easy to get caught in paradigms in both our leisure and business activity. It is a status quo issue. We get a new idea and assume it is good enough be it the games we play or the applications that power our business. The original developers of mainframe applications were the teachers of the first generation of web developers. Thus, the form-based apps powering business in the 1970s became the web portals of the late 1990s and early 2000s. The only change was the move from the terminal to the web browser. Few, if any, managers could envision any application advancements beyond moving to the web browser. The reason for this is it is hard for someone to imagine jets in a world of propeller airplanes. Everything is focused on larger engines instead of a paradigm shift to a vastly improved method of locomotion. Today we have chat, speech, and AI based technology capable of moving our applications to entirely new methods of interaction. However, most still are content to just enhance the existing paradigm of web interfaces – usually focusing on modernizing the look and feel of apps that are essentially the same as those created 50 years ago. While we love the foundations the past has provided, we don’t want to become mired in old ways at the cost of possibility. So how can out business applications move past a 50-year-old paradigm to something more beneficial? 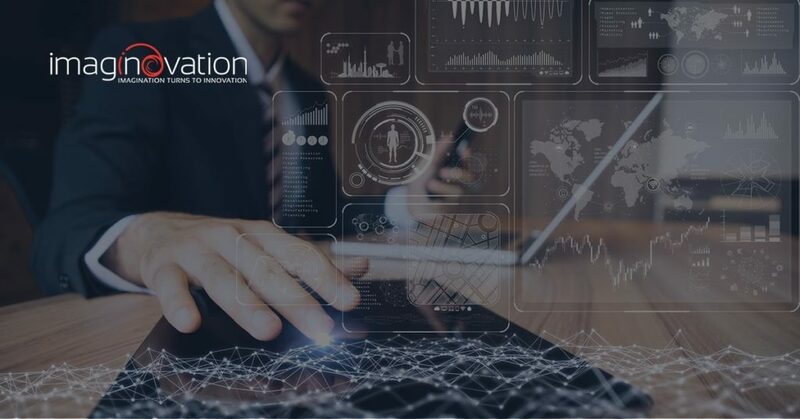 The most prominent change to business applications can come in the form of how we interact with the application. The technologies showing the most significant promise are chat, speech, and Artificial Intelligence (AI). Today we can chat with applications, speak to them, and have them respond to us in a very human-like manner. Consider a sales application. Many programs today have a form in which you enter a person’s name, address, phone, email, etc. The user has to type each part and press “save” at the end of the form. If you find a mistake, you make the correction and then press “save” again. But soon, a user could chat with the sales app or even do the same with voice. This is a much faster and improved method to do the same arduous task. 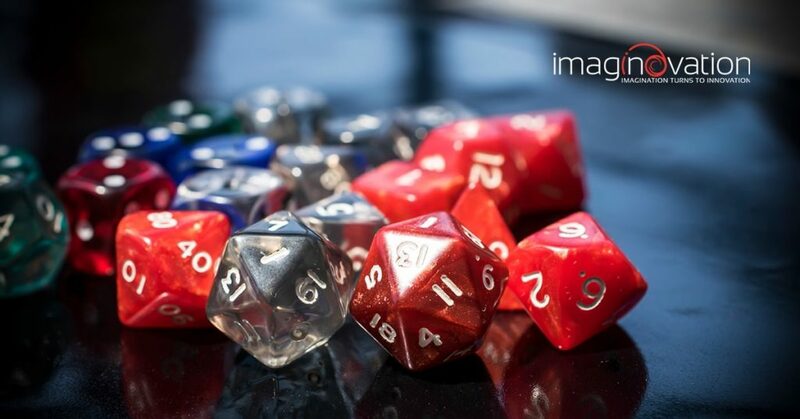 While D&D provided the basis for many rules in our lives, we must not forget to rethink the approach to those rules with today’s tech in mind. At Imaginovation, our goal is to remove the old paradigms so that your business can do more. Talk to us about changing your rulebook.